In 2009 I heard a little about raw feeding dogs, of course I went through the “but you can’t, what about the bones” etc. I really was unsure but I went ahead and not knowing much or where to turn to I went to the butchers and asked for a pigs trotter! My elderly Jack Russell took one sniff and turned his back! I then spent ages trying to cut the skin off which was very difficult and gave it to him again and the response was a blank stare! I then learnt a little about manufactured cereal based kibble and decided to stop feeding that and start to cook what I called home cooked dinners. These consisted of gentle simmering a whole chicken for about 2 hours with an assortment of old veg and then stripping off the meat from the bone (discarding bones and old sodden veg) . I would then prepare veg such as carrots, potatoes, peas, broccoli etc. and gently simmer in a little chicken stock, then thicken with corn flour or gravy granules, add a lot of cooked rice to “pad it out” and freeze in individual portions! Over the next few years I kept hearing about raw feeding and started to understand that actually grain was really not good for your dog and boiling chicken and veg for a long period time destroyed any chance of nutritional value! I started to feel guilty about what I was doing but still had this fear in my head about giving bones! Our elderly Jack Russell, Fred went to the bridge aged 18 and life was sad for a long time, so six months later we got our young rescue Jack Russell, Burt. In general Raw feeding started to come into the fore front more, facebook has several pages on the subject so I joined and watched from a distance as they say. I started to give the odd chicken wing and Burt was not to keen but he did eventually start to eat them however this caused me a lot of anxieties about “what if “and I struggled to gain control of my fears but I knew that just giving raw meat was not the way forward it had to contain raw meaty bones, so I again shied away to embarrassed to confess. 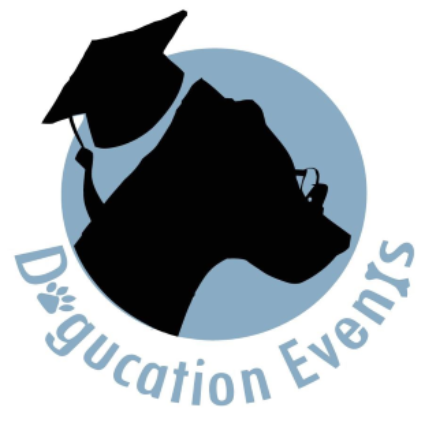 In 2013 I attended a talk being held by Dogucation Events on, The Science behind Raw Feeding, and really was amazed to meet so many other raw feeders and also I heard a lot about the manufacturing of dog food in general and the great thing about it was all the evidence that was it backed by scientific papers. I realised that all those cooked dinners really were not doing Burt any favours. Through this talk I got to learn about the benefits of herbs and so purchased some from Fridays’ Dogs’ Body Herbal range. I was impressed as over time as I felt his coat was becoming shinier, but I still resisted raw despite buying the book on raw feeding and my struggle with the issue of giving my dog bones still troubled me but felt it was because it had been ingrained on me not to give dogs bones. I then took a consultation with Wagdale because Burts’ coat was dropping out at a dramatic rate and I knew it was possibly diet based, I also wanted to address my embarrassment of why I didn’t feed raw and so I need not have worried! My mind was put at rest and I was supported until I had the confidence to continue without fear! The cost of his food has come down and I am happy that he gets a huge range of different types of raw meaty bones, heart, liver etc. and also I still have the interaction of grating a range of fruits and veg fresh each day along with the herb range. It’s really opened my mind as I thought his food would be boring and restricted to chicken wings and he seems so much healthier, lovely coat etc. I wish I had overcome my fears years ago! Healthful Dog Journalzine is available in paperback via Amazon or digitally via our online store.